This is not what you would expect to find, by the sea, in Pattaya, Thailand. 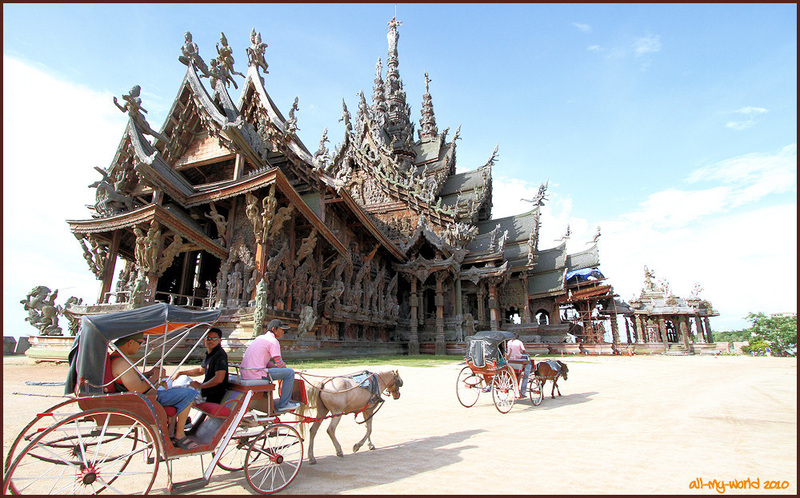 This enormous teakwood palace, in the shape of a cross is covered inside and outside in an extraordinary deluge of intricate wood carvings. Its not a busy tourist site, as the price of entry is beyond what most locals are prepared to pay...also, its an eternal work-in-progress, so visitors must wear construction site hard-hats. 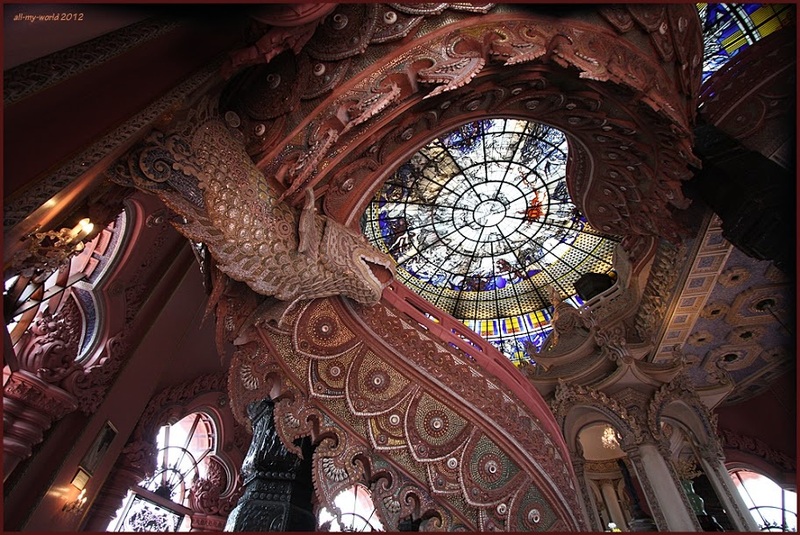 Extraordinary, privately owned museum built inside the 47 metre high copper sculpture of the mythical Three-headed Elephant. The basement of the pedestal contains a private collection of ancient ceramics of inestimable value. The next level in the pedestal is a spectacular auditorium featuring two staircases and four pewter-clad pillars that rise almost to the gorgeous, illuminated,false stained-glass ceiling which is an ancient Map of the World. Finally, a spiral staircase, inside one back leg of the elephant takes you to the chest cavity and heads of the sculpture in which has been constructed a most elaborate merit-making auditorium. 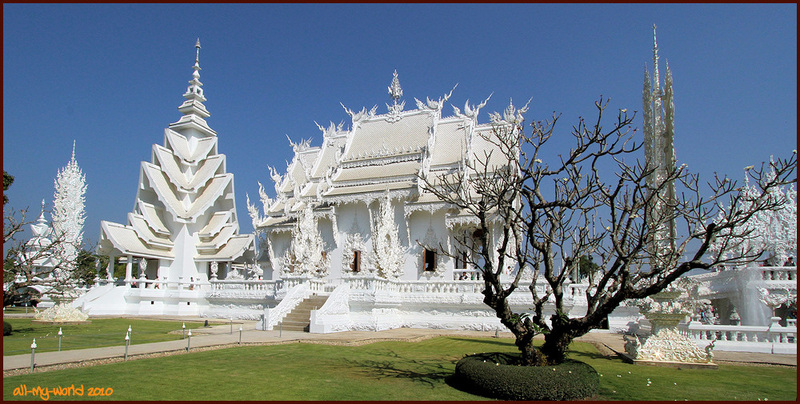 Wat Rong Kung is the creation of a Chiang Rai artist.